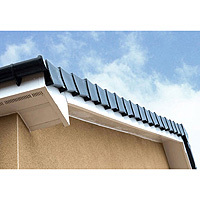 Product information "EasyVerge U Dry Verge Units (Box of 50)"
No nonsense - one units does left or right! 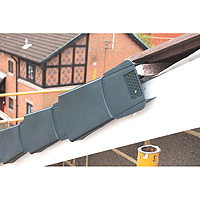 Pack of 50, high quality, UV stable plastic dry verge units that can be used either way round, so no need for separate left and right units. Installs quickly and easy with almost any tile type. 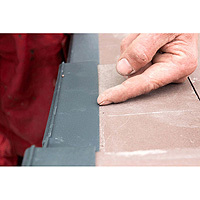 Mortar-free, maintenance-free method of securing almost any tile type along roof verge. 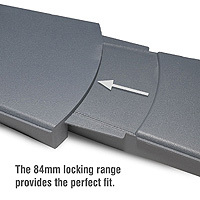 Unique design combines ease of installation with exceptional holding, so tiles are held firmly in place and not vulnerable to wind dislodgement. It's super quick too - 36 units in 5 mins!. 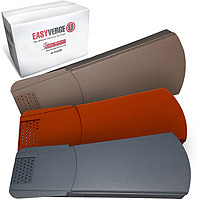 Related links to "EasyVerge U Dry Verge Units (Box of 50)"
Customer review for "EasyVerge U Dry Verge Units (Box of 50)"